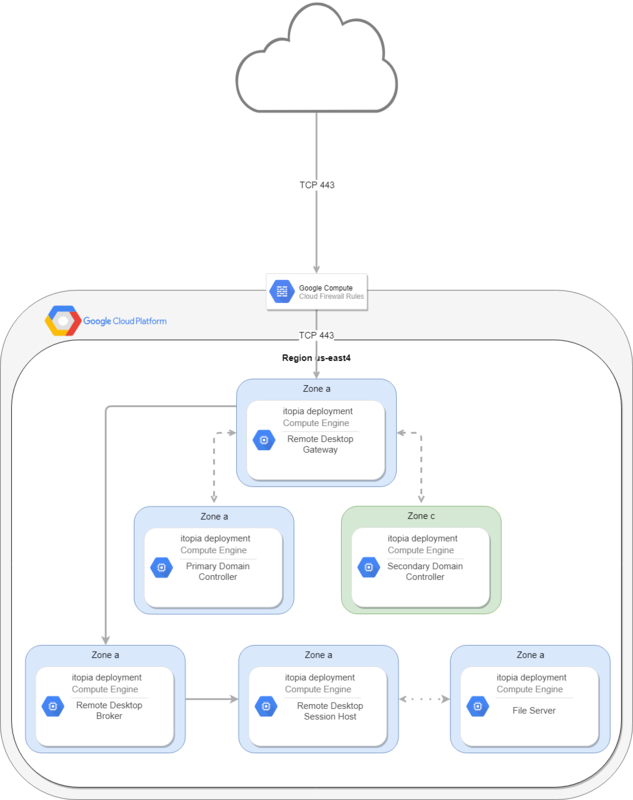 itopia offers several solutions to automate your workloads on GCP. 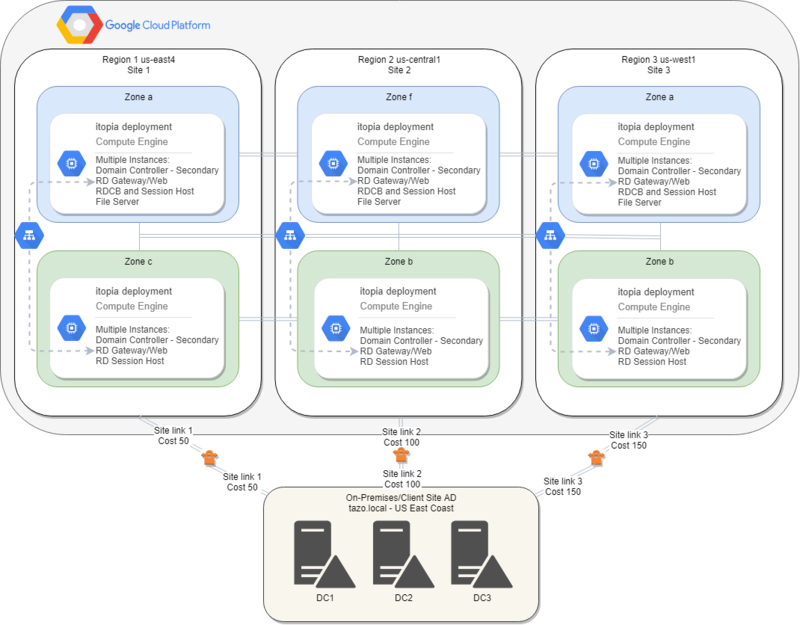 Below you will find a few example architectural diagrams to get a better understanding of how the typical itopia+GCP infrastructure is built. 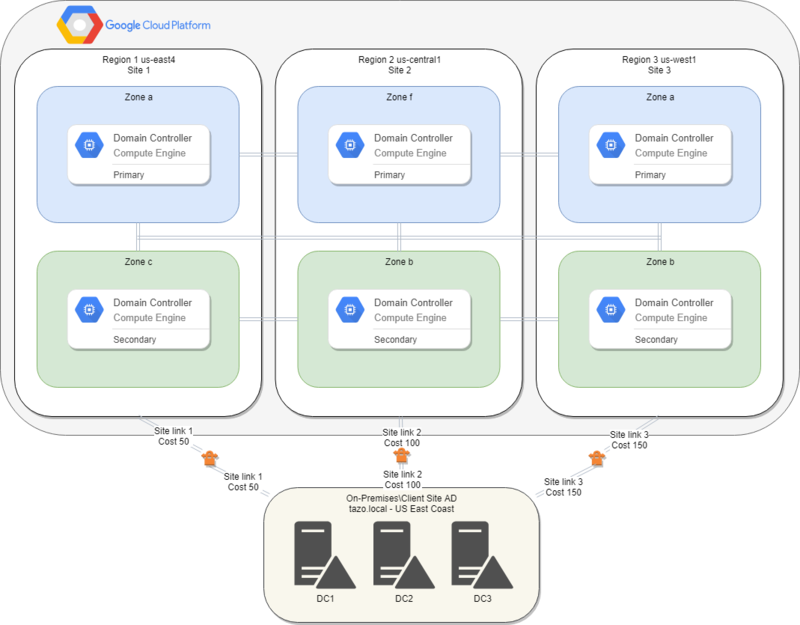 The below diagram shows a simple RDS environment with one primary domain controller, a secondary (backup) domain controller, a remote desktop gateway, a remote desktop broker, dedicated file server and a remote desktop session host server.